WHITMAN — A mosquito sample in Whitman has tested positive for West Nile Virus, according to the town’s Health Agent Gary Covino, but the area’s alert status remains low on the state Dept. of Public Health website. The Whitman Health Board Chairman Eric Joubert said his board’s immediate goal is to stress education about preventive measures. Joubert said closing athletic fields would do noting to change people’s behavior at home. “What we’re looking to do is change the behavior as opposed to the government saying, ‘Don’t do this,’” Joubert said. “If everybody uses DEET age-appropriately, and practices good precautions year-round, then when we have a positive pool we won’t have a negative outcome on a sports event, the fields being closed or anything like that. W-H Athletic Director Bob Rodgers said he follows the lead of the Whitman and Hanson health departments. Across the state, there have been 116 mosquito samples that have tested positive for West Nile, with one human case in Middlesex County and none found in animals. No positive sample tests have been found for Eastern Equine Encephalitis (EEE) so far this year. 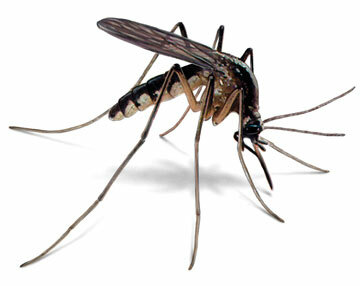 WNV is most commonly spread to people through the bite of an infected mosquito. More information about different types of mosquitoes that can spread WNV can be found on the MDPH website at mass.gov/dph/wnv/wnv1.htm. WNV may also be spread through blood transfusion or organ transplant. In addition, there are rare reports of WNV being passed from pregnant or breastfeeding women, who are infected with WNV, to their babies. Since these reports are rare, the health effects on an unborn or breastfeeding baby are unclear and still being studied. People do not become infected by having direct contact with other infected people, birds or animals. When WNV infects birds, it can cause high mortality (death) in certain species, including crows, blue jays and robins. Collecting information about the location of these types of dead birds can help identify areas where WNV may be active in Massachusetts. If you would like to report a dead bird in your area, call the MDPH Public Health Information Line at 866-MASS-WNV (866-627-7968). MDPH generally collects this information from May through September. The majority of people who are infected with WNV (approximately 80 percent) will have no symptoms. A smaller number of people who become infected will have symptoms such as fever, headache, body aches, nausea, vomiting, and sometimes swollen lymph glands. They may also develop a skin rash on the chest, stomach and back. Less than 1 percent of people infected with WNV will develop severe illness, including encephalitis or meningitis. The symptoms of severe illness can include high fever, headache, neck stiffness, stupor, disorientation, coma, tremors, convulsions, muscle weakness, vision loss, numbness and paralysis. Persons older than 50 years of age have a higher risk of developing severe illness. How common is WNV in Massachusetts? Because most people who are exposed to WNV have no symptoms, it is difficult to know exactly how many people have been infected. People who develop severe illness with WNV are most often reported. Between 2000 and 2006, 54 people were reported with WNV infection in Massachusetts. Six of these people died. Cases have been identified from around the state. There is no specific treatment for WNV infections. People with mild WNV infections usually recover on their own. People with severe WNV infections almost always require hospitalization. Their symptoms may last several weeks and neurological effects may be permanent. Approximately 10 percent of people who develop severe illness will die from the infection.